Robot & Frank (2012) Directed by Jake Schreier. With Frank Langella, Susan Sarandon, James Marsden and Liv Tyler. The feature length debut of Jake Schreier, Robot & Frank is a curiously rewarding drama about human frailty and our growing reliance upon technology in everyday life. Set in the near future, the film stars Frank Langella as Frank, an elderly man with an unreliable memory, whose son decides to gift him a robot companion to help his daily routine. Frank’s initial resistance soon fades as he warms to his new house-mate, giving way to an unlikely friendship. Langella’s performance is excellent. His initial suspicion, turning to underlying affection for the robot is beautifully portrayed. Frank’s cantankerous attitude, against the innocence of the AI makes for a collection of charming scenes with some wry doses of humour. Schreier also takes the opportunity to frame some striking juxtapositions of nature and technology. 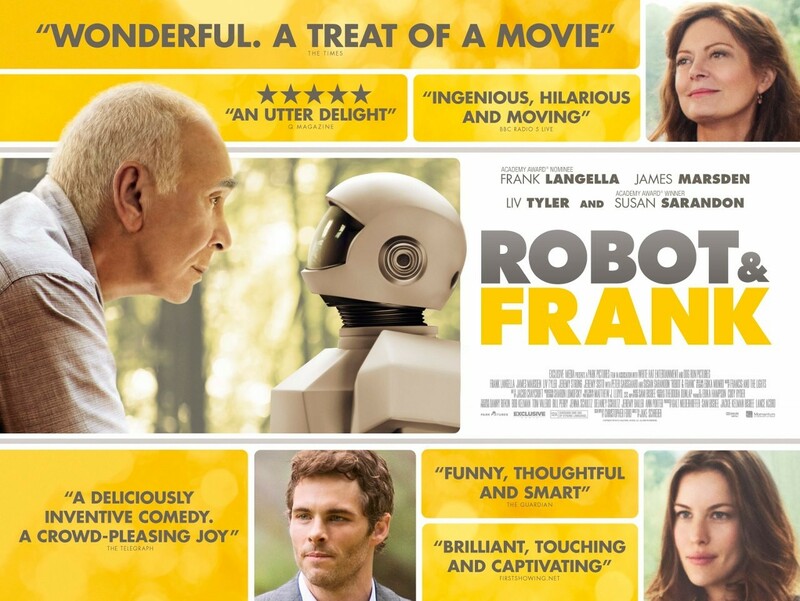 This entry was posted in Film Reviews and tagged film review, frank langella, gareth rhodes, Jake Schreier, james marsden, jeremy sisto, jeremy strong, liv tyler, movie review, peter sarsgaard, robot & frank, robot and frank, susan sarandon. Bookmark the permalink.